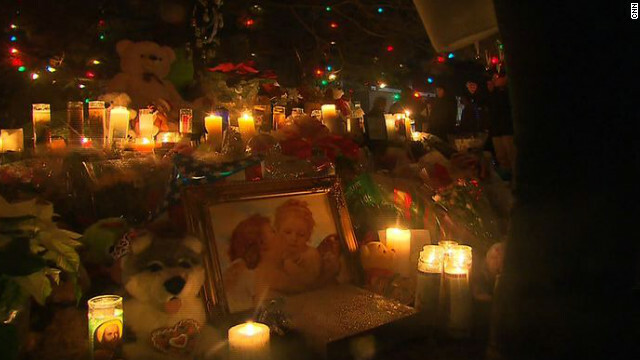 A makeshift memorial pays tribute to the victims of Friday's shooting at Sandy Hook Elementary School in Newtown, Connecticut. (CNN) - Since news first broke about the shooting at a Connecticut elementary school, people began wondering how something so horrible could happen. Within a few hours, before the magnitude of the tragedy was fully known, reports began to surface that the shooter, Adam Lanza, was autistic or had Asperger's syndrome in addition to a possible personality or anxiety disorder such as obessive-compulsive disorder. A relative told investigators that Lanza had a form of autism, according to a law enforcement official, who spoke under condition of anonymity due to the sensitive nature of the investigation. CNN has not been able to confirm independently whether Lanza was diagnosed with autism or Asperger's syndrome, a higher-functioning form of autism. However, national autism organizations cautioned against speculation about a link between violence and autism or Asperger's. While the motive for this crime is still unknown and may never be fully understood, what is clear, according to experts, is that autism cannot be blamed. There are many parents of autistic children who manage their children's lives in a positive and loving way, that results in these kids turning into law abiding adults. But the outcome of an autistic child is heavily weighted on the parents. Lanza's mother was grossly irresponsible for having put a gun in the hands of her autistic son who she had been trouble controlling, for years! Parents with mentally ill children should not be granted the ability to have guns. Also I find it odd that the father is no where to be found...although he claimed he visited with his son every other weekend until the last two years. Both parents obviously gave up long ago. When do we stop mainstreaming children with special needs in education? It's not always possible. Their differences stand out even more. Then they become victims of bullying and feel more like outcasts in society. You can't undo the needs of a child ..
All parents want their children to be "normal" unfortunately that is not always possible, or in the child's best interest. That social experiment needs to be looked at more closely .... and reconsidered.